The first working meeting of the four illustrators took place on November 28th, 2016. 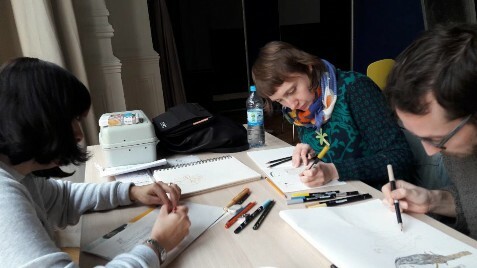 The three illustrators based in Germany gathered in a rented place to get to know each other for the first time and to evaluate matching points between the different working styles and their approach towards art in an inter-cultural environment. 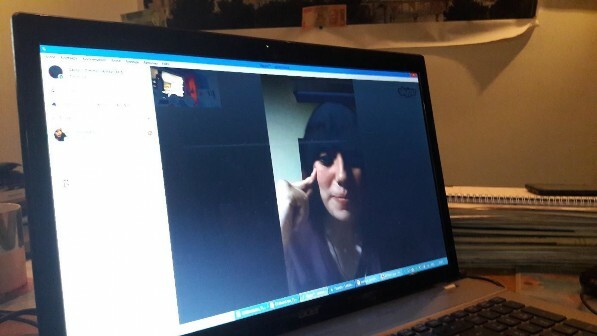 The Egypt-based illustrator Mai Koraiem remained in steady contact with the project team and the other illustrators via a Skype connection. Here, she presented her view and plans of the project by referring to the diversity of artistic methods and backgrounds that have to be taken into account during the project. Together, they had a look on the digital platform that the project coordinator has set up to compile an overview of their work as well as their CVs. Based on that, they also shared views and ideas on pictures and images of already existing books and discussed the different approaches towards illustrations and their working methods. This allowed them to get mutual insight in their concepts that constitute their imagery. They also presented each other books that served as an example of “best practise” which describes a successful fusion of text and images. 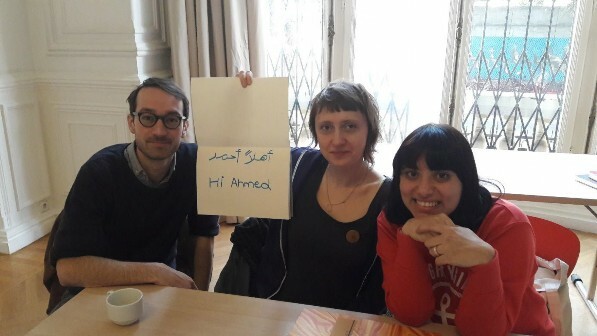 After the dinner break, the three illustrators outlined a first exchange of drafts that they will upload on the internal web platform in order to imagine the joined work in the longer workshop session in Cairo in Mid-January 2017. They presented each other working methods and design aspects of their current book projects and elaborated on the question how a collaborative working process could look like without neglecting the individual artistic specifications and techniques. 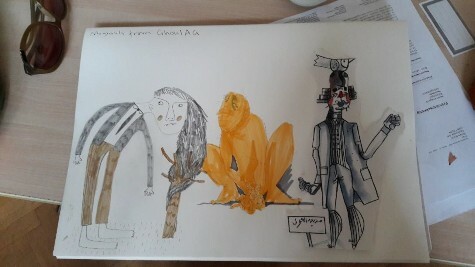 Furthermore, they agreed on sharing first sketches of illustrations before the Cairo workshop. Additionally, they will exchange ideas about the individual fairy tales they feel mostly attached to. 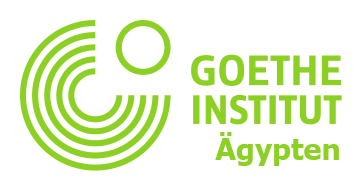 With this assessment of artistic and cultural prerequisites to develop a multiple imagery perspective on fairy tales they felt encouraged to work in school classes in Cairo and Berlin at the beginning of the new school year. Without doubt, the workshop in Cairo poses one of the core elements during the whole project, as it was an unique opportunity for the participants to get in touch with Arab culture, and, what is more, the imagery and contemporary life in a vibrant Arabic-speaking metropolis. Apart from the working sessions, the illustrators used their stay to get in touch with people and to sketch outside on the streets. Furthermore, the project partner Sefsafa provided us with useful information, gave us an introduction tour around the city and presented our group to some fellow illustrators who shared their working experience. 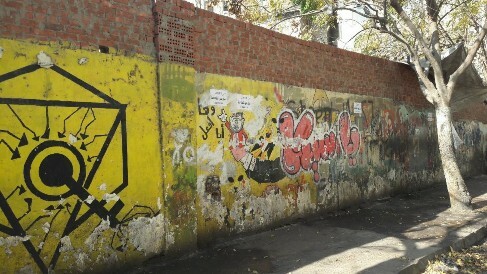 This provided thoughtful insight into modern Egypt graphic art, comics and illustration alongside different techniques. the dialogue on prerequisites and the material and format that are going to be used predominated the working sessions. What is more, the working sessions, organised by Sefsafa, that lasted several hours a day, were accompanied by discussions on the role and importance of fairy tales in parts of Arabic culture and society. 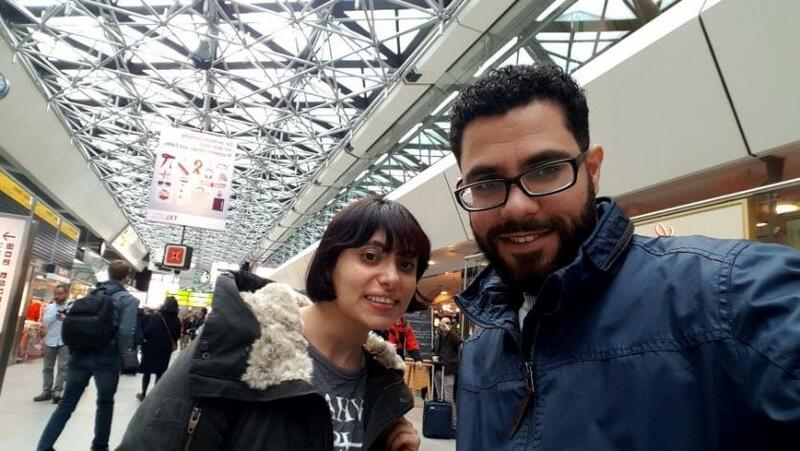 Afterwards, visiting tours around the city with local artists enhanced the exchange character of the limited workshop time and shed light on the ongoing fascination of fairy tales among young Egyptian artists and the inspiration they draw from it for their own work. Eventually, the actual illustrations of the same characters showed the multiple possible ways of combining the working and drawing styles of the illustrators. 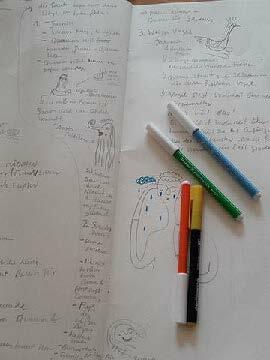 With the first sketches, the theoretical discussion changed into concrete suggestions on how to allow each illustrator to be part of a constructive and interactive drawing process. 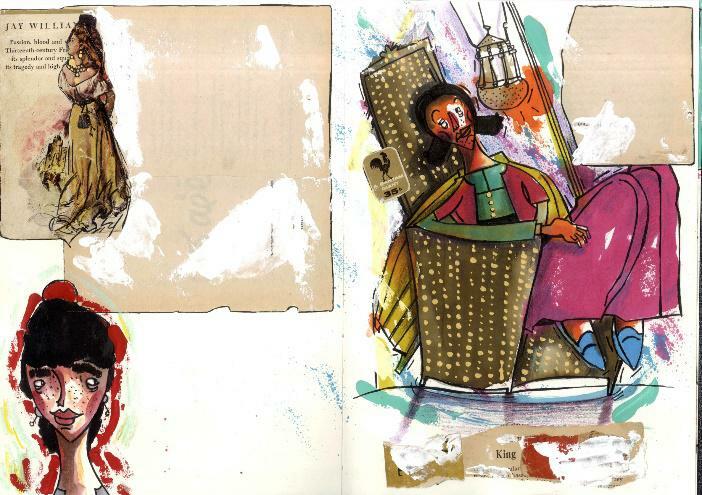 Subsequently and in presenting each other own works as well as sketches for the fairy tales, the illustrators became aware of their styles and use of different techniques, which led to a first agreement on the amount of stories to be illustrated and the focus on one story for the school workshop. For that, the group summarized the chosen story along a storyboard that distributed the story characters to the illustrators. The school workshop took place in Rahn School, a place located in New Kairo with a focus on German as an educational language. The aim was to gain experience in working with the stories on a narrative as well as imaginary level and to develop a model for future pedagogical workshops. 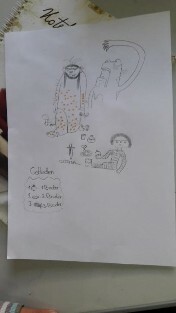 Confronted by the bilingual stories, the children were asked to promote their own views and adaptations by drawing and illustrating simultaneously during the readings. In addition, up front the illustrators did live sketches, as well. 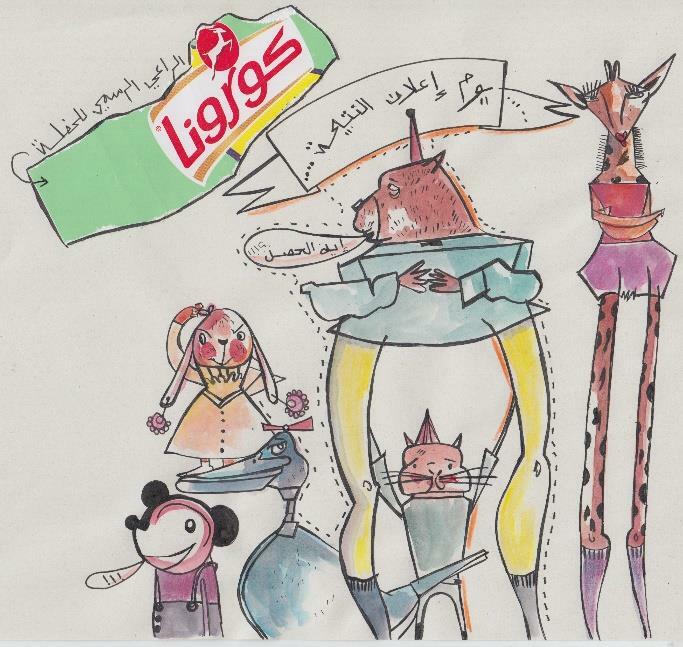 In return, this direct feedback to their sketches paved way to a fruitful dialogue on the imagery of Arabic fairy tales to young (often bilingual) students who are raised up in Egypt today, and who often derive from an Egypt-German context. The first direct of the artists proved the initial assumption that an intercultural and, even more so, a collaborative working process has to go hand in hand with a part in which the participants can get to know each other in a personal and artistic way. The discussion on their work backgrounds and the possible ways of collaboration (sharing of backgrounds vs. characters, building a frame story that encompasses the fairy tales) juxtaposed with the questions on relevance of these orally conveyed stories. In the first place, Cairo showed the diversity of the technical and pedagogical possibilities while at the same time confronted us with contemporary storytelling and graphic art. 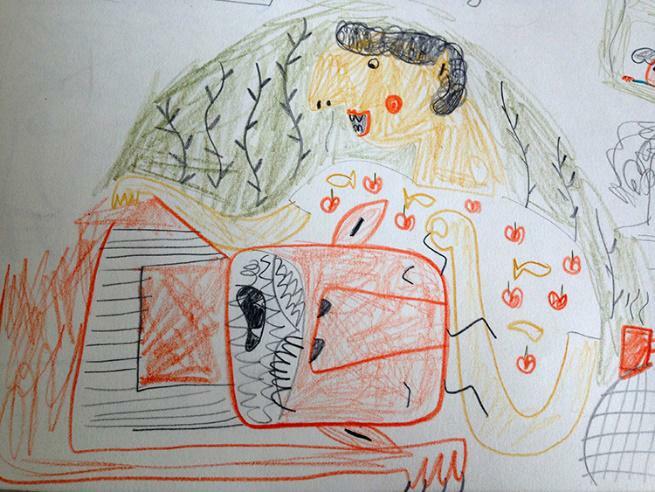 Here lies the foundation of the project: in exploring the potential of old stories for a contemporary, young audience, the illustrators dealt with issues of cultural transfer, building up new images and symbols without repeating clichés and transcultural modern narratives. For instance, the illustrators came up with the idea of including the two metropoles of Cairo and Berlin as framework for the stories. To some extent, this would also illustrate the process and the different backgrounds of the artists during the project. Another idea was to adapt of the stories’ icons, symbols, characters and narratives to a contemporary environment to close the gap between the daily life of the young today and the multiple literary, historic and cultural levels of the tales. What do fairy tales tell us today and how are we able to convey their messages best? These open and ongoing questions will be a constant point of reference during the project – at the next workshop in Brandenburg/Germany, the fourth illustrators Ahmad will join the work on it, again. 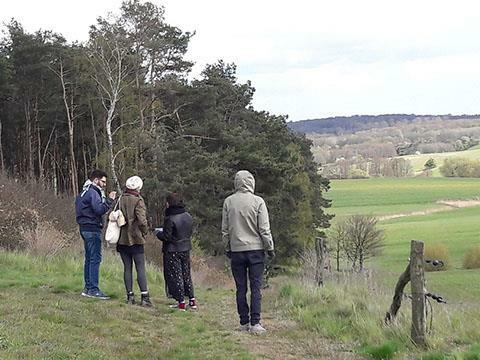 The beautiful, remote countryside of the Uckermark, a rural region in Brandenburg, about 1,5 hours away from Berlin by train, proved to be the right source for consulting, discussion and drawing of the Arabic fairy tales. 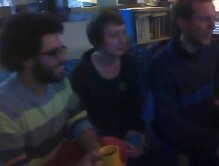 The four illustrators, in this workshop together for the first time in real-life, spent three days together. This allowed them to get to know each other better personally as well as artistically and, by that, to define their own role in the project, but also how they realise this in terms of process and outcome. 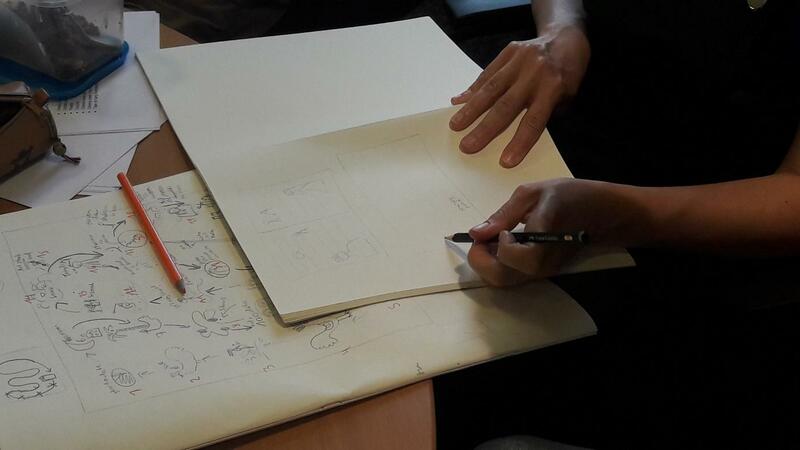 With the first sketches of the Cairo workshop and the exchange that happened in between, the illustrators could prepare themselves for drawing different stories. The aim was to acquaint a deeper understanding of the fairy tale stories and to continue the discussion and drawing process. Besides that, the project team, supported on the last day by the pedagogical editor and the filmmaker, aimed to discuss how they, individually, interact with their respective social, cultural and political environment they are living in and whether this background can be found in their works. As it turned out, the artistic diversity of their approaches rather was an asset to talk about the stories in artistic terms, e.g. how a possible book design could influence the creative process. The team of four did not frame their individual stances of imagining the fairy tales’ world in cultural terms, but wanted to keep their artistic freedom, that, in turn, is shaped by different influences. This theoretical discussion led to the conclusion that one of the main features of this intercultural collaboration is the direct encounter of different working styles and traditions (colours, digital vs analogue, use of material, text - image combination, etc. ), than the confrontation of cultures with the illustrators as mere representatives of them. Alongside that, the advantages each medium (hand-painting vs. manual techniques) when it comes to different sceneries pointed out the variety of artistic possibilities and artistic backgrounds of the artists. 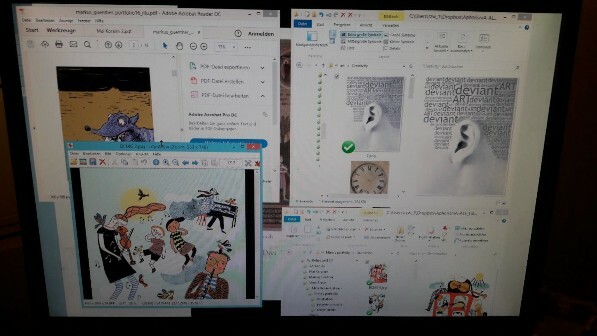 Coming from that, the team decided to give space to the own artistic world and techniques by juxtaposing the drawings by each illustrators in the respective stories. What is more, the experimental and collaborative deliberation ought to be highlighted. For this, the illustrators shared some first ideas that reflect the individual and contingent character of the different imaginations. For instance, this could be achieved with the help of sketchbook drawings, words, collected things or photos associated with the project. 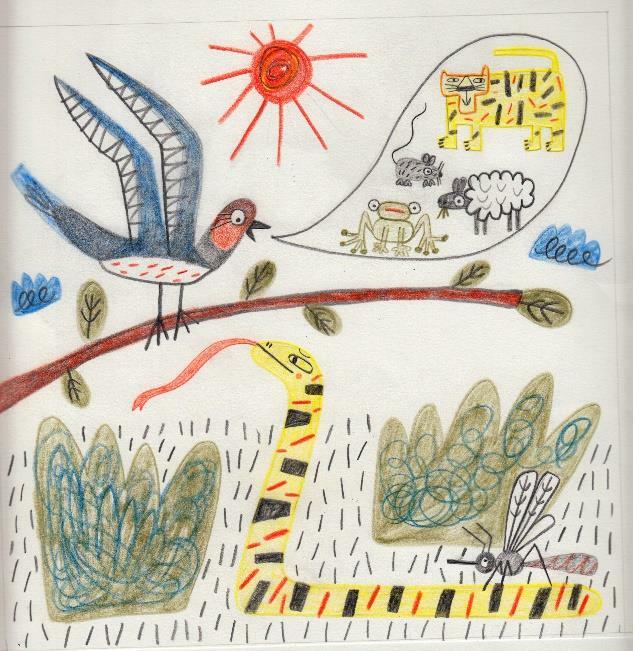 The illustrators were reading the stories again and defined the most important moments that were captive enough to leave an immediate imprint and can convey the message of the fairy tales. By that, they distributed the images accordingly and created a story board for each story. On the second and third day, the group did a first draft for a text page and decided to separate the two languages Arabic and German to have each on one page next to each other. The illustrations will be placed inside the text in several sizes, patterns and textures. It turned out that each fairy tale with its own peculiarities should be taken into account in its own regard. Especially when it comes to the question of the relation of the stories to modern-day realities, the illustrators, together with the pedagogical editor, who joined on the third day, were closely working on the text. In detail, they pointed out the relevant features of the stories – the erratic narrating tone, the independence of the protagonists and the allegoric and metaphoric symbolism proves still be highly inspiring. 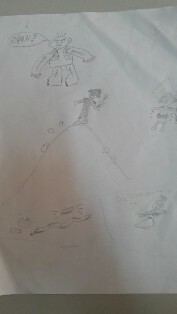 Furthermore, the illustrators explained to the pedagogical editor, which chosen scenes work best on an artistic level. Together, they made first decisions how one could work with these scenes in an educational context. On the other hand, the gender balance of the st ories’ characters shows to be imbalanced. That is why, for some stories, the artist team adapted the characters, or switched the attributed features of them. Next to that, the pedagogical editor presented her concept and new ideas for the next workshop in Berlin to the participants. In con tract to the previous workshop in Cairo, it is supposed to work with the young in a more direct and spontaneous way by handing them tools to draw and discuss in small groups. During the whole third day the film editor recorded parts of the discussion and drawing process, but also invited the artists, pedagogical editor and the project manager for separate interviews to the large building’s attic. These scenes will be later also used for presentation purposes. Hence, they try to capture an insight view of a project that evolves in different directions at the same time, the longer the involved cooperate. Eventually, the three Berlin-based illustrators decided to meet up soon to figure out a page-layout and come up with the size of the respective illustrations and to create an online board for uploading inspirational material and the work-in-progress. 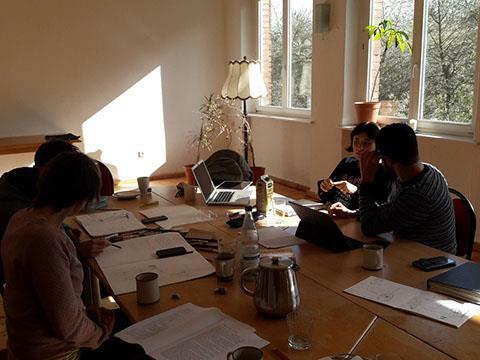 For the second time, the four illustrators could come together in a full squad, this time to use the two-day workshop in Berlin to finalize agreements for the illustration of the stories, but also to frame this in a concept for the whole book in terms of design, juxtaposing languages and the interdependency of the illustrations. 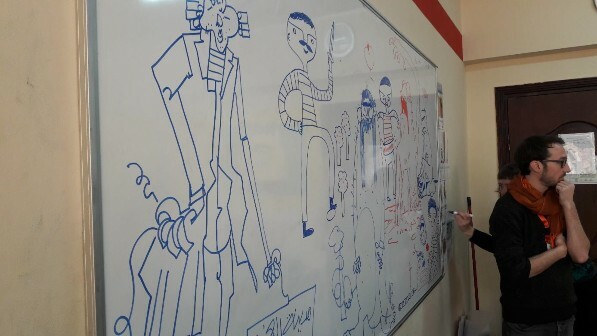 However, the workshop session with children in schools had to be postponed to September 6th and 7th, because the illustrators had to concentrate on their works. That is why the fourth illustrator from Egypt had to come again to finalize the agreements regarding the artistic and design part of the future publication. 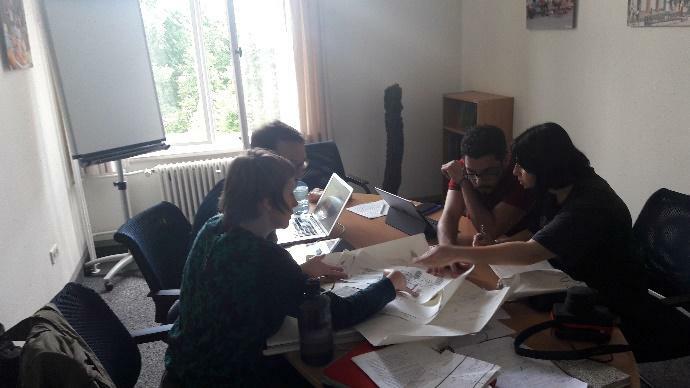 The four started by creating a schedule for the next weeks that encompassed work on common features and patterns for the collaborative working process, but also to define the workload and the distribution of tasks. Moreover, they elaborated on concepts to include the process of the whole project and to include aspects of their own works and style, but also the societal and artistic influences that shape it. By this, the discussion they had already begun continued – led by the question how to bring in necessary changes to the story to modernize the character and the action setting, while keeping the stories’ messages without over-determining possible interpretations. More than in the workshops before, the whole team could concentrate on concrete stories, as they were already familiar with the different aspects and layers of the stories (protagonists, morality, metaphors, etc.). This affected heavily the discussion on the image-text relation and the size of the images that are instrumental to get an approach to the stories and that provides a huge impact on the reader’s and listener’s imagination. With the sketches of the Cairo and Brandenburg workshop and the constant exchange that happened in between on the online platforms, the illustrators could prepare the outline for the publication in terms of editing, colours and style. By having a draft layout for a double page as a possible book, they talked about the practical implications of the creative process, collaborative work, e.g. how the different character design interacts together without losing their specific style. As well, they set the image sizes so it could fit into the German-Arabic text double pages. Besides the decision on the stories’ scenes that manifest the message best, the question of integrating the project process and the world of today in the illustrations, proved to be fundamental. The vastness of Cairo, the rural atmosphere of Brandenburg and the city streets of Berlin with their colours, images, fragments and ornaments that the illustrators experienced and documented will certainly play a role here. Still, they aim to maintain their individualistic artistic approach to fairy tales as carriers of symbols, meanings, norms and values. After the “Backpacking Tales” team has made first decisions how one could work with these scenes in an educational context in Brandenburg, the pedagogical editor presented her preliminary educational material and the different approaches she wants to use with the educational staff in the three Berlin-based workshops on September 6 - 8. In contract to the previous workshop in Cairo, it is supposed to work with the young in a more direct and spontaneous way by handing them tools to draw and discuss in small groups. That is why, these sessions are not supposed to be called “lessons,” but rather “workshops,” which indicates the active and experimental character the children could relate to in an open reflection process. In line with that, the presented educational material (that is preceded by a ‘Note for Educators’) shows an open and not-prescriptive way by handing the teaching staff four different approaches to the world of fairy tales, and the given stories in particular: Art, Oral Storytelling, Dramatic and Poetic Interpretations. These spectres serve as guide models to the fairy tales that allow the children to assess the stories in multiple and individual ways and enhance critical thinking. The teachers are free to choose specific parts of it, to combine them or to compose new ones. Instead of static tasks and patterns, the children are asked to learn about the different genres and the own possibilities in transforming the stories into their own and in highlighting the most striking moments and scenes. 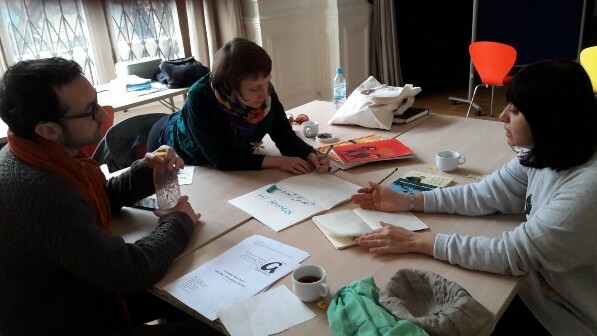 The team also addressed questions of culture, identity and language that might arise in the workshops during the confrontation with the stories, as happened with the illustrators in the Brandenburg workshop). As was pointed out, a supposed dilemma around culture in general, especially differences and disputes around cultural images can also mean very little, if one takes into account the complexity and diversity of today’s discourses, multidimensional influences and cross-border thinking. Art and literature are prominent traditional examples for that. This is why so there is no special need to over-determine cultural questions in the images, unless one of the illustrators feels the need to do so. As this meeting again showed, was that fairy tales with its essence of storytelling and illustrating bears a universal character despite the diversity in societal traditions of art and communication. Eventually, the project team planned the upcoming sessions in schools. The agreement was that the filmmaker who was present during the discussion, could film the workshops to give future educators an impression of the practical educational part of the project. Alongside this, in the classroom, some of the images and sketches are going to be displayed on the wall. Printed versions of these images and own paintings by the children as a result of the workshops could later be used for a joint exhibition during the final presentation in Berlin on September 11.